With this beautiful weather forecast of 80-85 degrees on the weekend we couldn’t resist but to take Bash to where we thought would be his favorite place. Boy were we right! 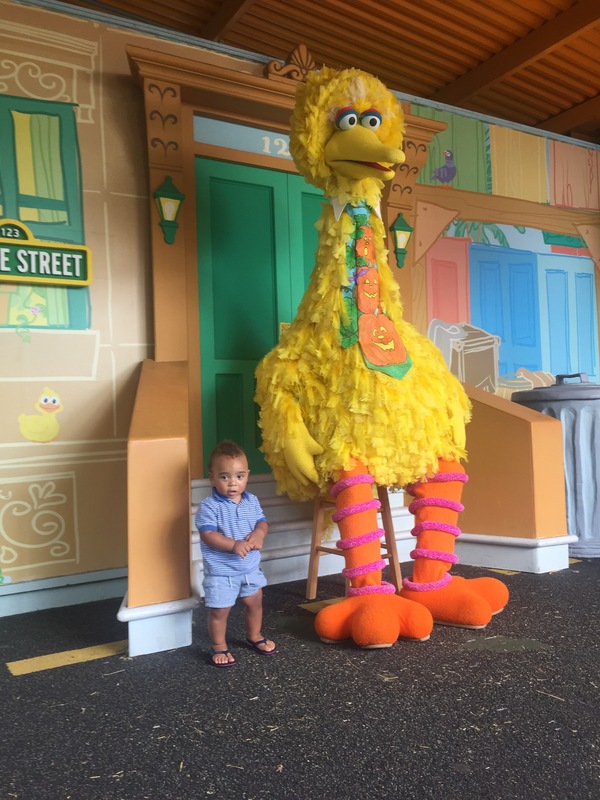 Bash and his TwinDollicious sisters enjoyed the spooktacular Halloween festivities at Sesame Place! That hour and fifteen minute drive from NY was so worth all of the memories we will have to look back on. Bash immediately knew who his friends were, as he posed for pictures and gave hi-fives with smiles and dance moves throughout the day. Isnt it so awesome to watch your children enjoy something so much at such a young age? I think that we always wonder what will they remember and is it worth it to expose them to things so young that they won’t retain. The truth of it all is the experience. These little spongy people will become better adults because of the great memories they will have to look back on and the exposure to The positive things in life. Striving to make it count !